The sheer number of health service providers and options you could choose from for depositing your baby's cord blood could make it more confusing for you. Allow us to explain the best choices available for you to find the best options for choosing cord blood banks. As a mother who is either planning to have a baby, or is just a few months away from giving birth, there are probably a lot of things that you are worrying about right now. One of the usual worries of soon-to-be-moms like you may be the desire to know more information about how to deposit your baby's umbilical cord blood. Such concern is common and is understandable, since collection of the cord blood of your baby is critical and is literally a once-in-a-lifetime event-- miss it once, and you've missed it forever. Qualified health practitioners collect the cord blood within the first ten minutes of giving birth. Timing is absolutely critical since any more delays exceeding the time frame significantly reduces the chance of collecting a useful amount of stem cells. The choice to whether avail of blood banking services or not is totally out of the question! Remember, it is both your child's and your family's future health that you are investing in (cord stem cells may be used by relatives). If the option is financially feasible for you, then go for it! The real question to ask is what option to take for banking your child's umbilical cord stem cells. There are mainly two options available to you: public or private banks. Public banking of blood is the more economical option, since there are no fees to pay for processing and storage. Unfortunately, the draw back of using public blood banks is that in case of need, there is no assurance that the exact cord blood will be given back to your child. This is because all identifiable information linking any donor to the batch of donated blood is removed, for ethical and security reasons. This is a major drawback, considering that the effectiveness of stem cell therapy lies in the stem cell's compatibility with the host. Also, due to limited funding, many (about 70%) of the publicly donated blood is discarded, further reducing the assurance of donors that there will be umbilical cord stem cells available from such banks when the need arises. Private banking of cord blood has its many benefits as compared to public banking-- but for a price. Among the many benefits of this option includes direct linking of the identity of your child to the deposited blood, therefore ensuring that in the case that it is needed, the exact cord blood deposited will be given back to your child. Also, since there is a steady stream of income to support the continued operation of the cord blood storage facility, the chance of the blood being available in times of need is markedly very high. Of course, the major drawback to this option is the financial expenditure it requires. The fees for the first year of storage may range from $ 900 to $ 2,500, while annual storage fees may range from $ 90 to $ 150, depending on the private bank chosen. If you think that it is financially sound for you to take on the upfront and annual charges for storage, we strongly recommend that you deposit your baby's umbilical stem cells in a private cord blood bank. However, if you think that you have other costs to prioritize, consider donating your baby's cord blood to public blood banks, since there may be a slight chance that other people may use the donated blood for themselves in the future. The priorities in choosing a banking facility for your family include the long-term sustainability of the bank's business, fees, technology level, years of practice, your medical professional's advice and, much more importantly, what you feel is the best for your family. Remember, it is your family's welfare that you are really securing by investing in umbilical cord blood storage today. 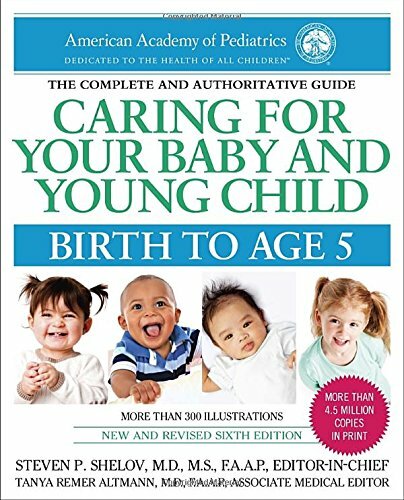 Caring for Your Baby and Young Child features the most up-to date, expert advice for mothers, fathers and care providers from the American Academy of Pediatrics.